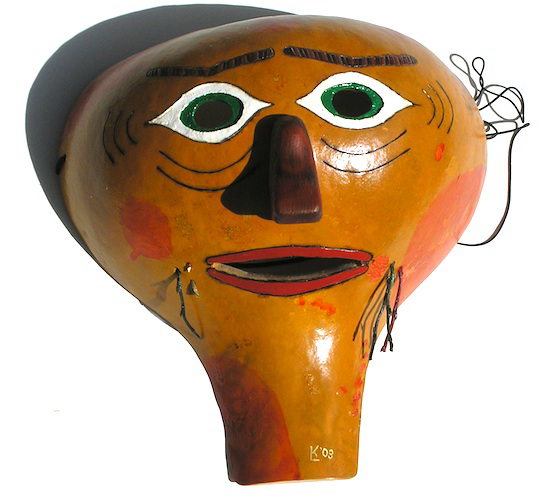 Like all the Gourd Masks created by forever AHOB family friend Ken Layne, the expression on this mask is unique, human in a way. This is the mask to wear for very certain times and occasions when wonder and awe are the order of the moment. Also like the other Gourd Masks -- and everything here in the Member Marketplace -- 100% of the proceeds go straight to help spend down some of the extraordinary heathcare costs Tucker faces every month.